Jang Dong Gun is a popular and well-renowned South Korean actor, who has been active in the entertainment business for over more than 20 years in both television and film. For a time, he was the highest paid actor in South Korea. 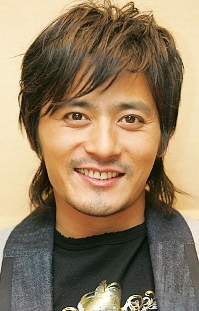 Jang Dong Gun has had a wide range of acting performances in both TV and movies that has earned him a large fan-base both in Korea and throughout Asia. He is probably best known for his roles in the films Friend (2001), Taegukgi (2004), and No Tears for the Dead (2014) and a few of MBC's most popular television series in the 1990s, including Our Heaven (1993), The Last Game (1994), and Love (1999). Since his early childhood, Jang Dong Gun has been a devout practitioner of Buddhism after reading about it. As a hobby, he enjoys playing baseball; he is a member of team of fellow popular and well-known male Korean stars called the "Playboys."